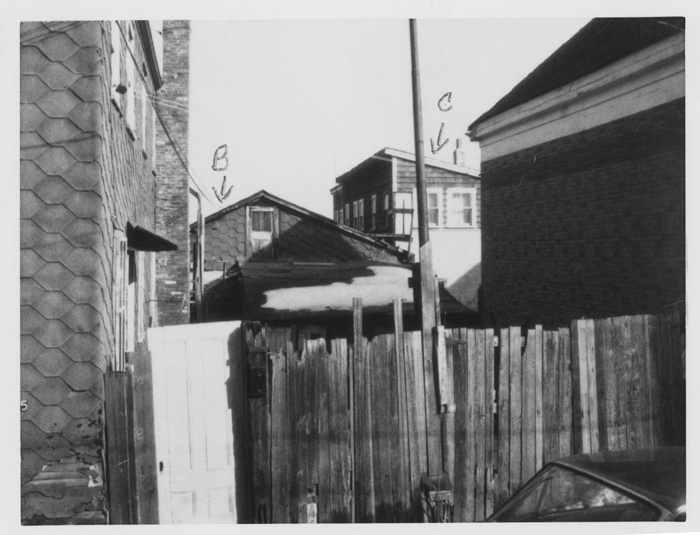 Subject property consists of a sloping lot containing 6,630 square feet, having frontages of 62.8 feet on Vaughan Street, 111.1 feet on Wendell Street and 40 feet on Jackson Street. 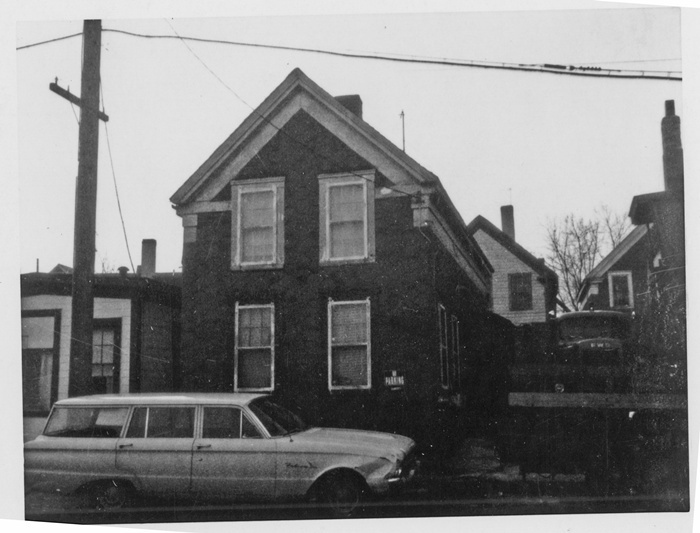 The exterior of this two and one-half story, frame, two family dwelling is in poor condition. The foundation is stone and brick. 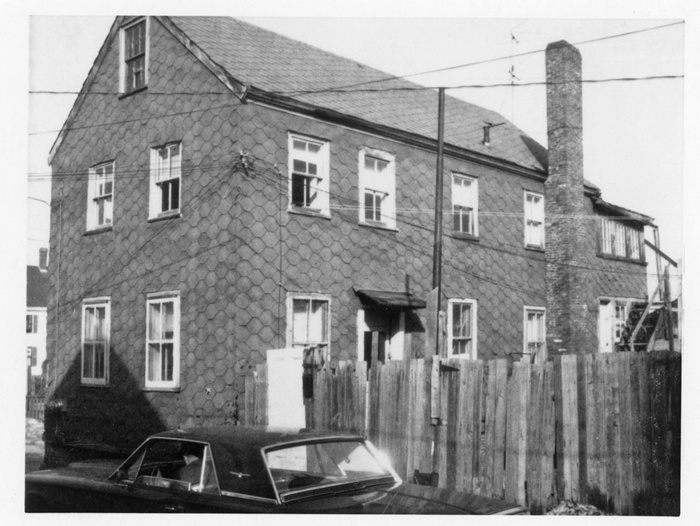 Walls are composition; windows are wood/double hung; the gable roof is asphalt shingled. There are two, glass enclosed porches. The interior of the building is in poor condition. There is a full basement. Heat is by stove; plumbing is galvanized; wiring is BX, 220 volts, 60 amperes; floors are softwood; walls and ceilings are plaster; the two kitchens are old style; there is a 3 piece bathroom on the first floor and a two piece and shower on the second floor. 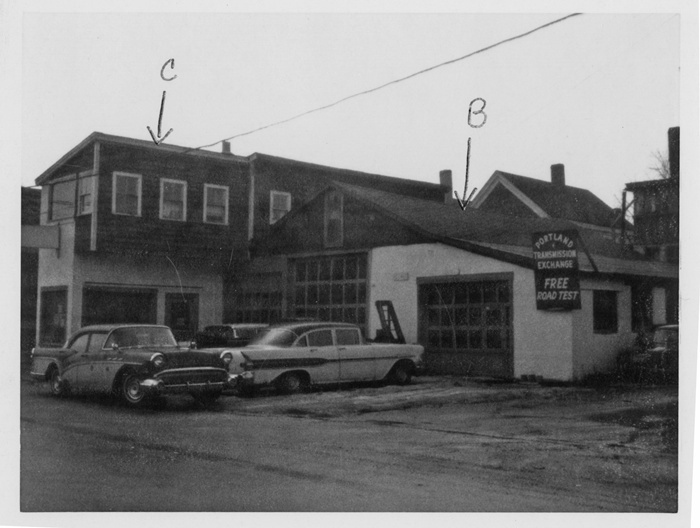 This property consists of a garage and apartment - one and two stories. The exterior is in fair condition. The foundation is concrete, walls are concrete block; windows are wood/double hung and fixed sash; roofs are gable/asphalt - 1 story and shed-type roll roof - 2 story. The interior is in fair condition. There is a partial, crawlspace basement. Heat: Gas unit heater in the apartment and oil warm air in the garage. Hot water for the apartment is a 20 gallon gas. There is no hot water in the garage. The walls in the garage are unfinished, while the walls in the apartment are composition. There is an old style kitchen in the apartment. Bathrooms consist of a 2 piece in the garage and a 2 peice and shower in the apartment. The garage has three overhead doors. The exterior of this one and two story, frame, on family dwelling is in fair condition. The foundation is concrete; walls are composition; windows are wood/double hung; the roof is gable/asphalt. 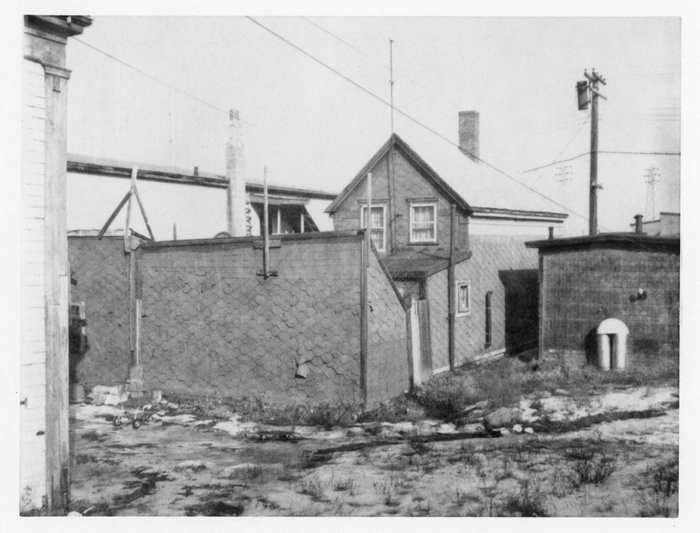 The interior, in fair condition, consists of a full, low basement with a concrete floor and sump pump; heat is by stove, hot water is by gas - 30 gallon; plumbing is galvanized; wiring is BX, 220 volts 60 amperes; floors are tile on wood; walls are composition and plaster; the kitchen is old style with a sink room; the bathroom is an old style, 3 piece. There is also a one story, frame shed, in poor condition. 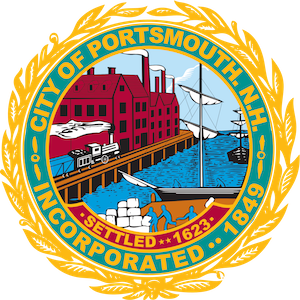 ~ “Parcel 14-1,” Portsmouth Public Library's Online Archives, accessed April 18, 2019, http://portsmouthexhibits.org/items/show/171.